In Florida, you have the right to stand your ground when you feel threatened. This is in contrast to laws in other states that impose a duty to retreat, a legal obligation to make every possible effort to escape from a threat before engaging in violence as a form of self defense. Your right to stand your ground is your right to defend yourself from the threat of harm. 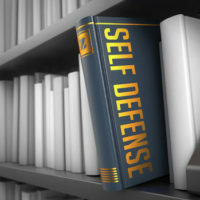 For an instance of physical violence to be accepted as an instance of self defense, though, certain criteria must be met. Did you Reasonably Fear for your Life or Safety at the Time of the Conflict? The crux of any stand your ground case is whether the defendant reasonably feared for his or her life or safety. Without this reasonable fear, an individual may not use violent force against an attacker, even if he or she does have a reason to fear minor physical harm. For example, if an individual fears that another party is going to slap him or her, he or she cannot shoot the prospective attacker and claim that it was in self defense. In contrast, if the individual feared that he or she would be raped or kidnapped, shooting the attacker could be justified. You may use violent, even deadly, force to protect yourself from harm at the hands of an attacker. This includes force with a firearm or another type of weapon. Individuals engaged in illegal acts at the time of their altercations cannot argue that they stood their ground in most cases. The right to stand your ground is reserved for incidents that occur inside your home, vehicle, or any other space you are legally permitted to enter and occupy. When an individual cites self defense as a defense against a battery charge, the court must prove beyond a reasonable doubt that this was not actually the case. Your right to stand your ground in the face of imminent danger is not a defense to a criminal charge in the traditional sense. Rather, it is a procedural rule that grants you immunity from criminal prosecution if you lawfully defend yourself against a legitimate threat. Instead of presenting your right to stand your ground as a defense strategy at your criminal hearing, you can actually invoke this right to avoid trial altogether. Our team of Miami criminal lawyers at Ratzan & Faccidomo, LLC has experience helping clients assert their right to stand their ground. If you are facing a battery charge or any other type of violent offense charge despite lawfully defending yourself at the time of the altercation, you can potentially use this to avoid prosecution. To learn more, contact our team today to schedule your initial consultation in our office.